Earlier this week I examined Roger Martin’s extremist views of shareholder value maximization and stock based compensation. Martin proclaims that a priority focus on maximizing shareholder value has the potential to “destroy our economy and rot out the core of American capitalism”. Although somewhat drastic in nature, Martin is not alone in disputing shareholder value theory. Considered one of America’s greatest corporate leaders, former CEO of General Electric (GE), Jack Welch, contributed to an increase in company value of over 3,000% during his 20 year reign. When Welch became CEO in 1981, General Electric was worth $14 billion. At the time of Welch’s retirement, GE had grown to just around $500 billion and was, at the time, one of the most valuable and largest companies in the world. If you were invested in GE during the “Welch Era” you would have fared tremendously. Welch, serving as Chairman and CEO from 1981 – 2001, was deemed “Manager of the Century” by Fortune in 1999. Also known as “Neutron Jack” for never hesitating to fire employees, Welch was viewed by many as the archetype implementer of shareholder value theory. For the last four decades, shareholder value maximization has dominated capitalism. Denning asserts it will take years before shareholder value proponents change their views because “the proponents of shareholder value stick to it as tenaciously as the believers in a religion. They recite the propositions of the shareholder value ideology as though communicating absolute truth and are puzzled, even furious, as to why anyone might think differently.” Additionally, he writes, “Shareholder value theory is not the only obsolete idea that needs to be replaced. In fact, shareholder value is part of a web of obsolete management ideas that no longer fit the 21st century”. According to Denning’s article, other outdated theories include: Porter’s uni-directional value chain (replaced today by the concept of multi-directional networks), sustainable competitive advantage (competitive advantage is, at its best, temporary), the essence of strategy is coping with competition (today, the essence of strategy is about adding value to customers)…the list goes on. With a background in both Finance and Psychology, I view the financial markets (which ebb and flow based on emotional investors) through a psychological lens. Confirmation bias is broadly defined as one’s tendency to favor information that confirms his/her preconceptions or hypotheses – regardless of whether that information is true. Perhaps shareholder value proponents, who so strongly believe that profitability of shareholders must be a company’s first priority, only input such information (i.e. high-performing companies that seemingly maximize shareholder profits), that strengthen their beliefs. 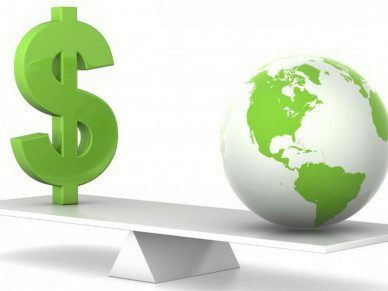 And it is the opponents who realize that perhaps shareholders are benefiting from strong companies (i.e. an outcome) rather than the other way around. Food for thought. Among this century’s most influential leaders are Tim Cook (Apple), Elon Musk (Tesla), John Mackey (Whole Foods) and Paul Polman (Unilever). What do all of these CEOs have in common? A strong focus on all stakeholders and a recognition of the importance of sustainable business. Paul Polman states, “I do not work for the shareholder, to be honest; I work for the consumer, the customer…I don’t drive this business model by driving shareholder value”. Mackey introduces Conscious Capitalism, “…when businesses operate with higher purpose beyond profits and create value for all stakeholders, trade-offs are largely eliminated, performance is elevated, and the entire system flourishes. Meanwhile, Tim Cook is building the world’s greenest headquarters, and Elon Musk has been creating sustainable cars (and rocket-ships, apparently) for years. 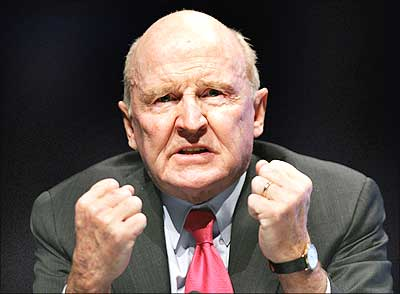 I wonder how GE would have feared going into the financial crisis with Jack Welch. Would they have been spared? Any guesses from GE watchers?